Lesquite is ideally situated to visit the many and diverse sights in Cornwall from pre-historic stone circles and ancient Cornish crosses to hidden coves, sandy beaches, coastal paths and fishing harbours. 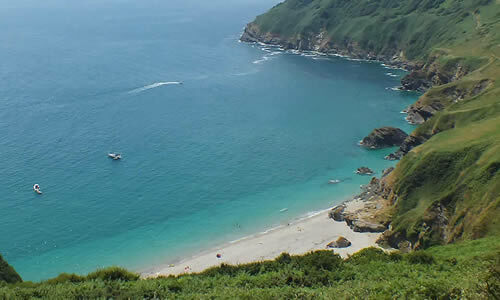 Lantic Bay (pictured above) and Lansallos beach are both just a 3 mile drive. 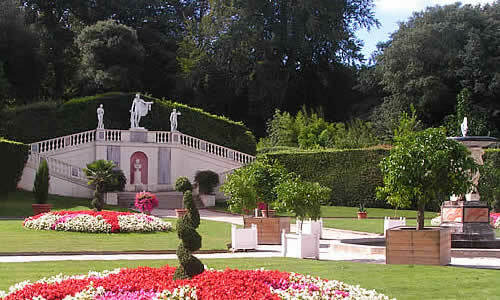 Listed below are a selection of popular places to visit during your stay at Lesquite. 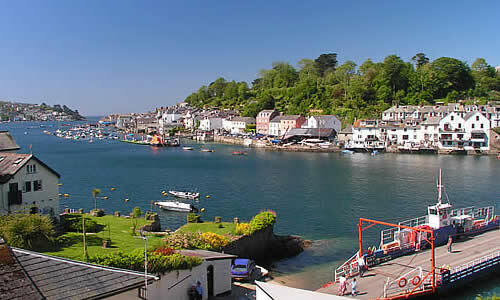 Fowey is a delightful place to visit for a day out with much to amuse the family including the harbour, walks along the esplanade, an excellent selection of independent shops and art galleries and a wide choice of places to eat, from fish and chips to gourmet restaurants. The historic town of Lostwithiel is a fascinating place to explore with many ancient buildings as well as lifestyle shops, award winning restaurants, tea rooms, pubs and a produce market. 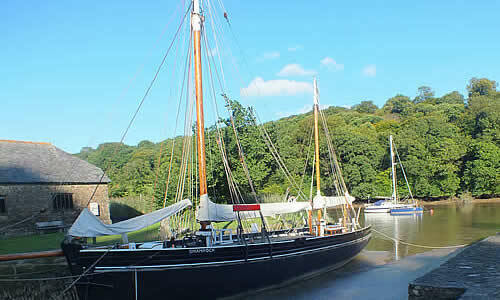 Lostwithiel was the capital of Cornwall in the 13th Century and today, its antique shops, regular fairs and auctions have made it the antiques capital of Cornwall. 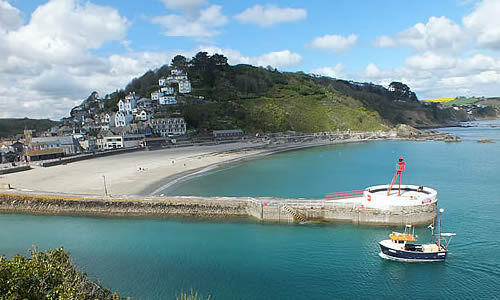 Close by are the pretty fishing towns of Looe and Polperro. Their harbours are still busy with colourful working fishing boats and visitors can take a sightseeing trip or a fishing trip on boats running from the quay. There is a choice of cafés and restaurants, many specialising in local fish dishes, and a full range of shops, galleries, and small town facilities.